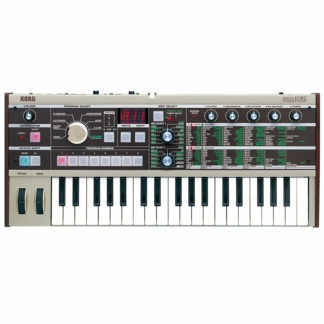 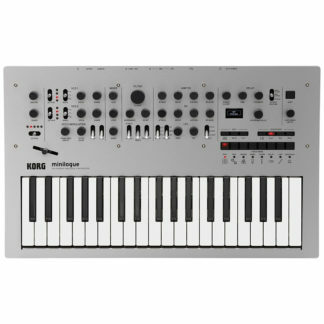 The Korg minilogue xd is a fitting addition to the original groundbreaking minilogue. 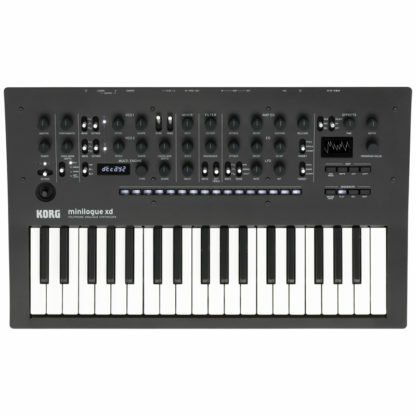 In addition to emphasizing the same real analog sound and joy of controlling an electronic musical instrument offered by the original minilogue, the Korg Minilogue xd newly adds a digital multi-engine, effects, a powered-up sequencer, and micro tuning functionality, further expanding the possibilities for sound design and performance potential. 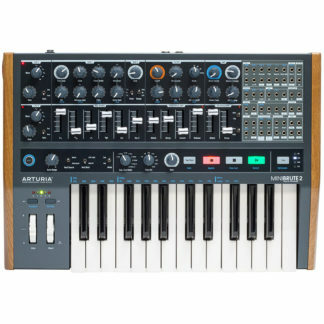 Four-voice polyphonic analog synthesis. 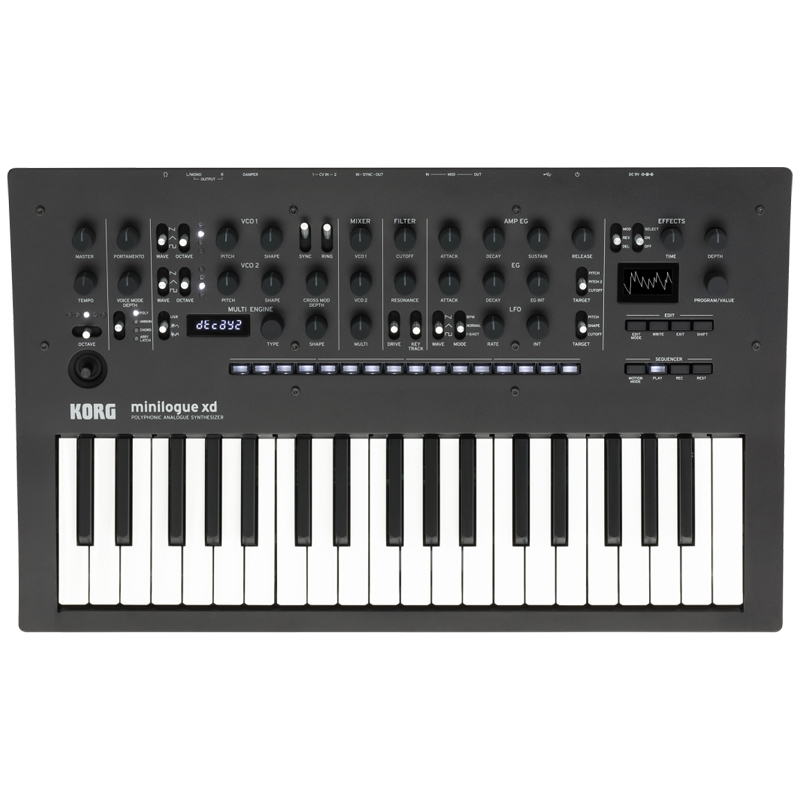 The analog synthesizer circuit of the minilogue, whose genuine analog sound had a huge impact on the synth world, has been further developed for the Korg minilogue xd. Voice structure of Korg minilogue xd is 2VCO + MULTI ENGINE, 1VCF, 2EG, 1VCA, and 1LFO. 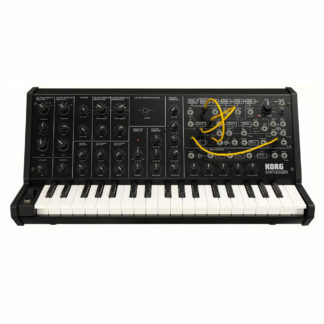 In addition to the distinctive circuits found in the series, such as wave shaping to shape the overtones of the oscillator and a sync/ring switch, there’s also cross modulation, a sharp two-pole filter, and a drive switch that adds thickness and drives signal into Korg minilogue xd’s filter. 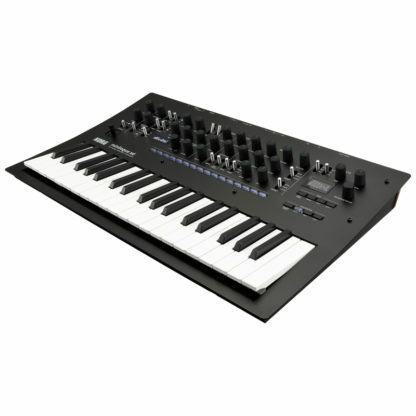 Every parameter has been tuned in detail based on what musicians want out of their synth. 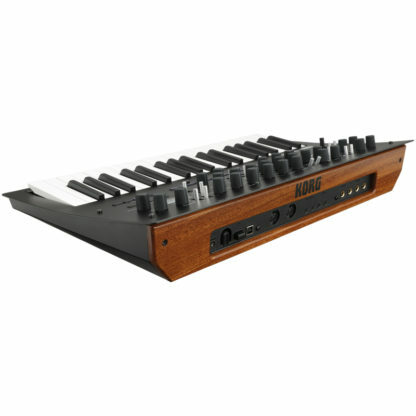 The sounds range from the warm pads typical of analog to fat basses and crisp lead sounds, covering every situation. 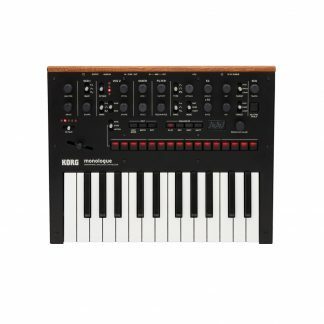 The Korg minilogue xd’s high-quality digital effects use 32-bit floating point DSP processing, adding a finishing touch to its deep sound design platform. The three types (modulation effects, reverb, and delay) can be used simultaneously, letting you choose from a wide range of variations including chorus, ensemble, warm tape delay, and a diverse variety of reverb. The user effect slots allow you to load your own effect programs that you’ve created. 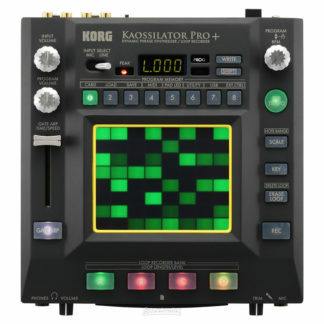 Program: 500 voices (more than 200 preload, 300 user programs). 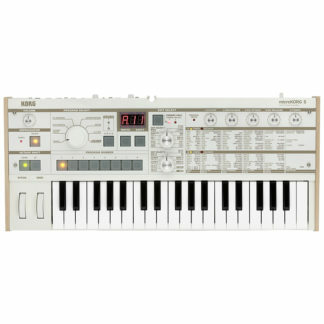 Each program provides a program sort function that includes voice mode settings. 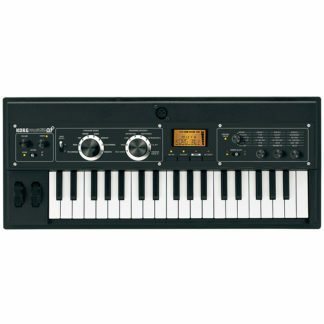 Voice Modes: 4 (POLY, UNISON, CHORD, ARP / LATCH). 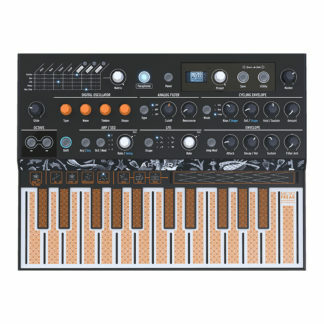 The VOICE MODE DEPTH setting allows different parameters to be varied for each mode.